This tip might seem like a given, but not enough parents know how to properly dress their children for cold weather conditions. According to the American Academy of Pediatrics, you should always dress children in one more layer of clothing than an adult would wear in the same weather conditions. All children need to wear mittens, a hat, gloves and boots. However, don’t think that you need to place your child under several layers of clothing. The AAP said that just a few thin layers are enough to keep most children warm and dry. For especially young children, avoid letting them sleep with quilts or blankets, as these can obstruct airways. Instead, dress them in one-piece sleepers. Every year, as more snow gathers on the ground, you’ll see children flock outside in droves to spend the day sledding up and down nearby hills. Though it’s less immediately dangerous than other winter activities like skiing, snowboarding or riding on a snowmobile, sledding still requires proper safety precautions. Helmets are a must for sledding. Opt for hockey over bicycle helmets because these devices are built for more specific winter conditions, according to the journal Pediatrics & Child Health. 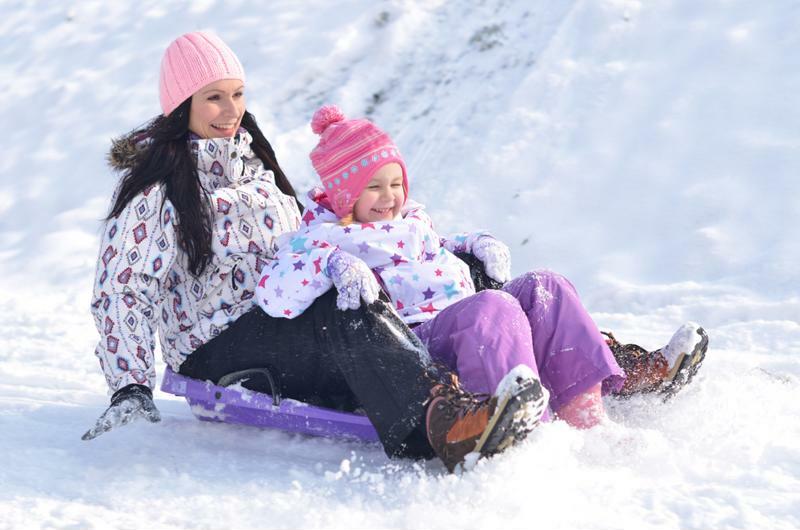 You also want to ensure that the child’s sled has proper handholds and doesn’t feature any sharp edges, as these can further injure a child in case of an accident. Finally, make sure your child sleds in an area without trees, buildings or other obstructions. Children love sledding, but they must always be careful. Stiff muscles leading to clumsiness. In infants and smaller children, hypothermia can also present with red skin or a weak cry. If you noitce your child might be suffering from any cold-related injuries or ailments, it’s important to get them medical care immediately. Fortunately, there are CareWell Urgent Care locations all across the Eastern seaboard. With a team of seasoned professionals at each unique facility, CareWell can treat any issue and get your child back to enjoying winter in no time.